Can a credit card save you money? A social media follower recently asked me how he could benefit from using a credit card. The answer is that is depends entirely on your self-discipline. If you are the personality type who may make all sorts of promises to only use it for emergencies, but somehow a new jacket or pair of shoes suddenly seems like an emergency, then a credit card may end up as a very expensive decision. 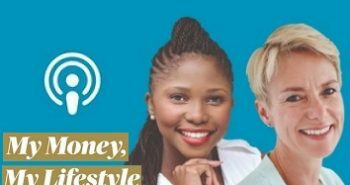 Listen to Maya and Mapalo Makhu discussing this and other stories on the My Money My Lifestyle podcast. However, if you have a strong sense of discipline and pay off your card at the end of every month, or even better, pre-pay at the beginning of the month, then a credit card could save on transaction fees. No transaction charges: If you manage your credit card reasonably well, it is one of the most cost effective ways to transact. While you do pay an annual card fee, there are no transactional fees when you pay at a store or online as the merchant pays the bank a merchant fee. Free credit: You get interest-free credit for up to 55 days, as long as you pay your card in full each month. However, note that this does not apply to cash withdrawals. If you withdraw cash on your credit card using your credit limit, you pay interest from day one. Travel insurance: Credit cards also provide free travel insurance so they are worth using when booking airline tickets. Loyalty rewards: There are often great loyalty programmes linked to credit cards. You need to do the maths and ensure you are getting enough value from the rewards to justify the extra costs. Chargeback: Another huge advantage of using a credit card is the benefit of a chargeback. If you’ve purchased goods or services with your card and the merchant fails to deliver the services, the merchant’s bank has to refund you. The reason is that when a bank provides a merchant with a credit card facility, it is the bank’s responsibility to ensure that the merchant is above board. Your bank would be able to claim the money from the bank that provided the merchant with access to the credit card system. This not only applies to fraud but can also be used to refund the consumer in cases where payment is made in advance but the merchant then goes out of business, such as an airline, or if items you bought online were not delivered. Annual fees: If you decide to use a credit card for day-to-day spending, then do your homework and check out the annual fees first. These vary dramatically between cards. 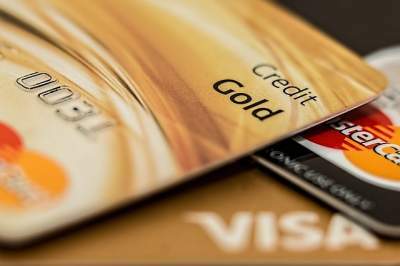 Generally, the higher the status of the card, the more you pay. You will pay around R300 more per year for a platinum card than the entry-level credit card. Danger or getting into debt: The only way to really manage a credit card is to pay it off in full each month. If you can’t do that, you are living beyond your means and you start to enter the almost inescapable vortex of revolving credit. Revolving credit is where you have access to a certain amount of credit on an ongoing basis – any amount you pay into the card settles the outstanding debt and the credit is again available to you. It’s easy to get into a situation where you never actually fully pay off the loan and live permanently in debt – it just becomes part of your lifestyle. This is a very dangerous form of credit. You also have no idea how much this debt is actually costing you over time. The minimum amount you have to pay off on your credit card is based on the current outstanding balance. That can vary from 3% to 5% but the rand amount decreases as your balance decreases so it takes decades to actually pay it off. There are two ways to ensure you benefit from the cost savings of a credit card without the debt: pre-pay the amount you plan to spend that month into your card, or ensure that you repay the full amount owing every month. Set up a debit order: It’s a great idea to have a debit order in place to settle your credit card in full each month. This not only improves your credit record but ensures you won’t be subject to penalty fees. One year when we were moving and life was chaotic, I forgot to pay my credit card bill, and I was hit with penalty fees and additional interest. Now it’s paid off automatically at the end of each month by debit order, and I don’t have to think about it. 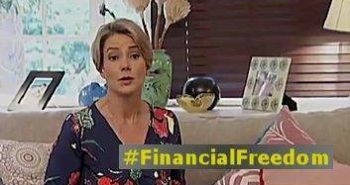 Previous postWhat’s does financial freedom mean to you?